Quality products, quality installation is not only Midwest Construction's motto, but it is what we strive to provide to all of our beloved customers. We have researched and found the best products for your exterior remodeling project, becoming exclusive dealers on most to pass along great savings to you, and remain on top of the best installation practices the industry has to offer. What does this mean to you? Peace of mind that after we finish your job, you will enjoy your project for many years to come. Midwest Construction, the leader in Iowa remodeling, was founded in 1958 by Alex P. Despenas and continues to be a family-run business specializing in exterior home remodeling in Iowa and southern Minnesota. We have two showrooms for your convenience, one in Mason City and one in Des Moines (Grimes). Both of our showrooms feature full-size sunrooms, fully functioning window displays and samples of all of our remaining products. Simply stop on by, we'd love to see you! All of our Production Managers are VSI Certified, and they'll guarantee that your remodeling project is completed in a timely and professional manner. At Midwest Construction, our goal is to ensure that you're replacements windows, siding, doors, gutters or sunroom comes with the peace of mind and comfort you get with the best quality and most energy-efficient product, while at the same time making sure you know your project is being installed by well-trained, experienced and professional crews. 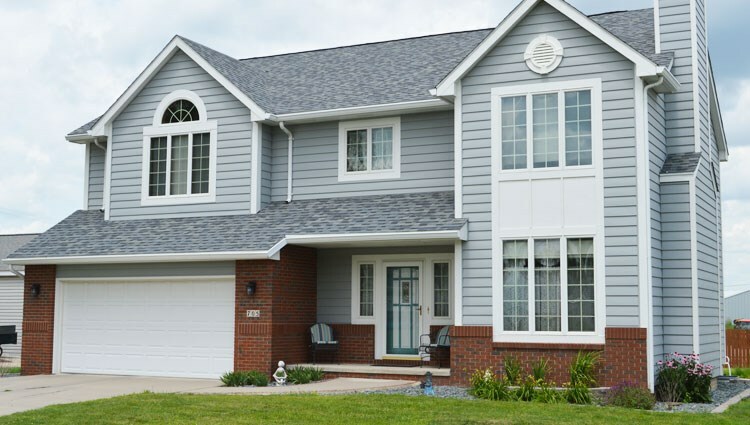 A remodeling project may seem overwhelming, but with Midwest Construction, Iowa's exterior remodeling leader, the project always goes smoothly. Midwest efficiently guides you through the remodeling process, from your free, no-obligation initial design consultation through the construction phase to providing you with the best warranties in the industry for protection for years to come. Midwest Construction's quality products, quality installation is the right choice for your next remodeling project. 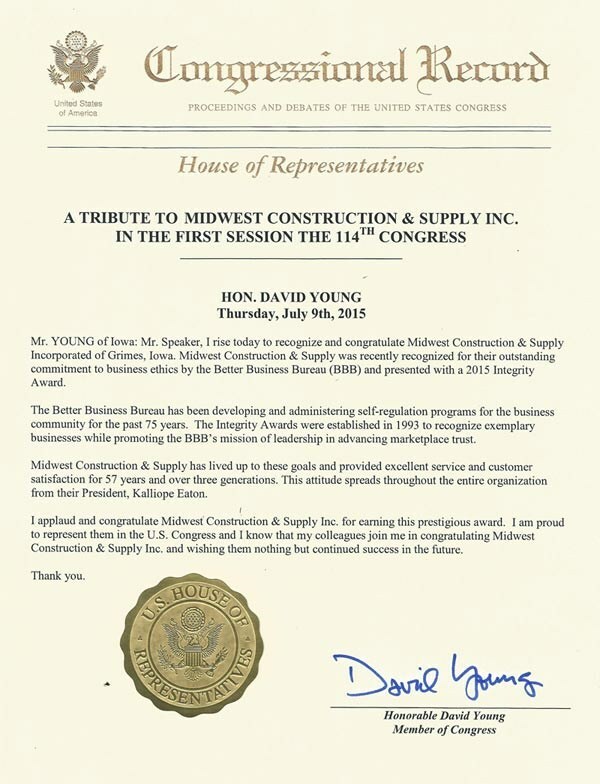 The BBB is a good resource for finding out further information on local contractors. 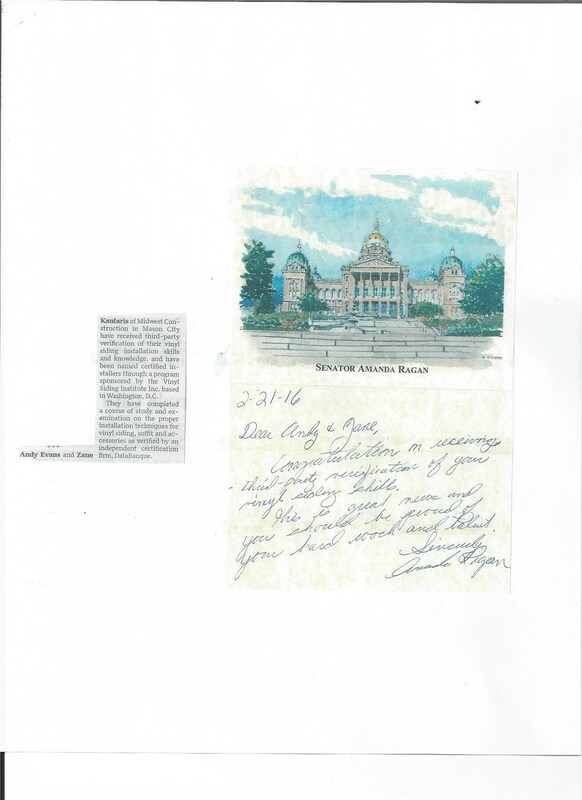 The BBB has a report on each company and you can go onto their website (BBB) and see what the company rating is, any complaints filed and how long they have been accredited. 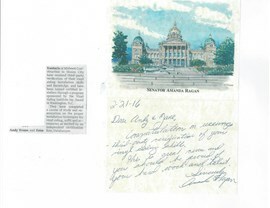 The Better Business Bureau ensures that high standards for trust are set and maintained. They exist so consumers and businesses alike have an unbiased source to guide them on matters of trust. 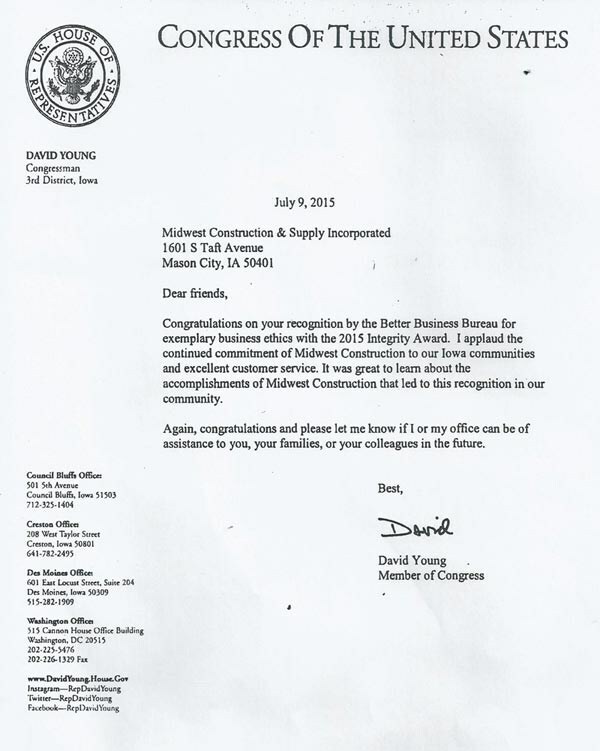 Midwest Construction is a proud recipient of a 2015 BBB Integrity Award. 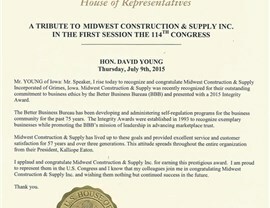 David Young, US House of Representatives, has honored Midwest Construction with a Congressional Record Tribute in honor of receiving the 2015 SSS Integrity Award. 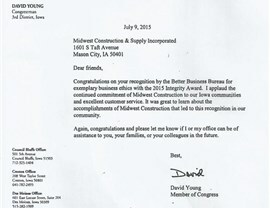 Midwest Construction also received a personal letter from Mr Young on the subject.